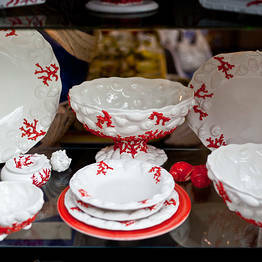 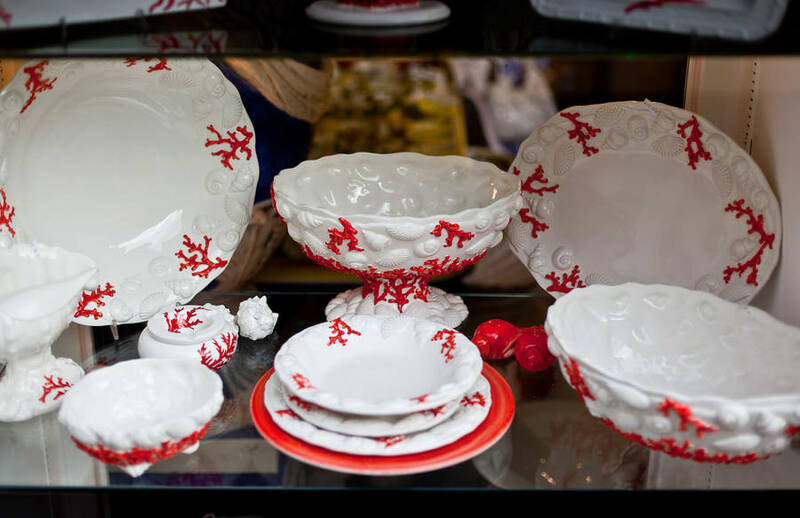 Ceramics + Capri = The Sea Gull. 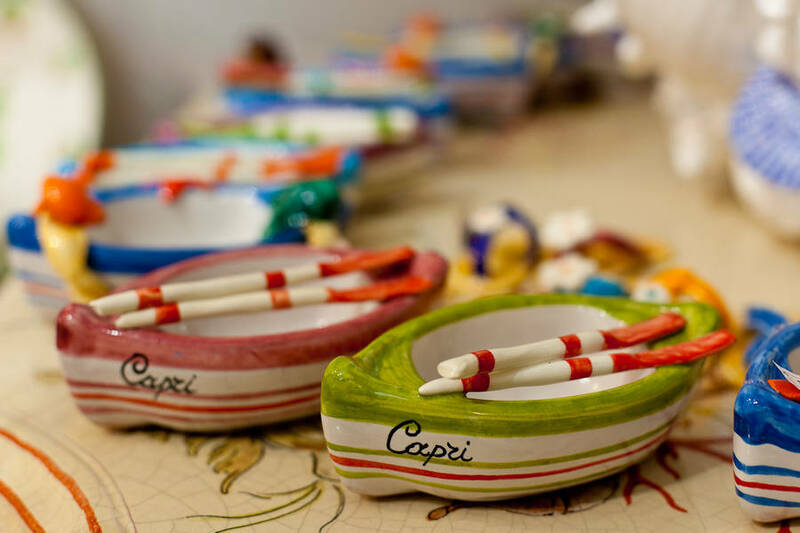 For more than half a century, ever since 1950, this little shop within meters of the Piazzetta has been selling beautiful hand-painted ceramics to the locals (houses on the island are full of them!) 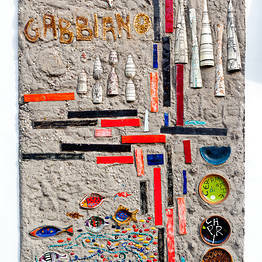 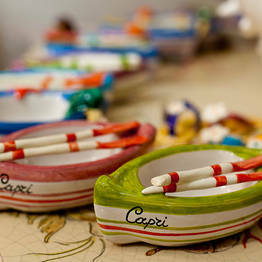 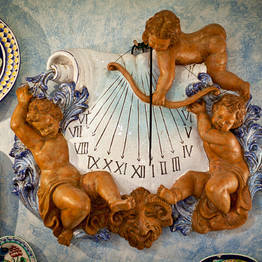 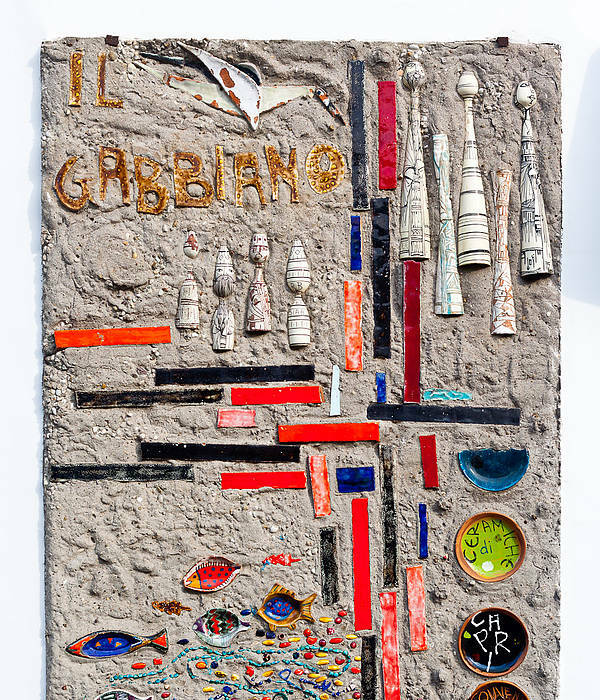 and to those visitors keen to take a little piece of Capri back home with them. 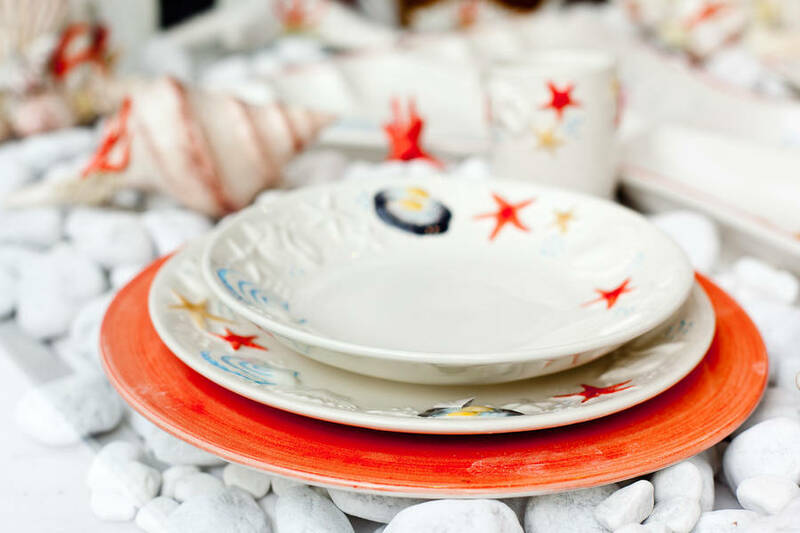 Hand-painted in the colors of the sun, sky and sea surrounding Capri, The Sea Gull's artistic ceramics are a veritable explosion of yellow and blue. 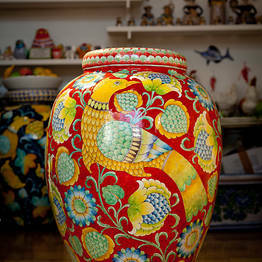 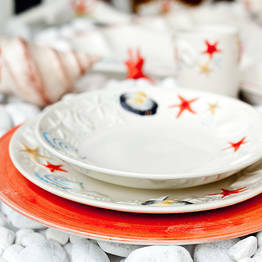 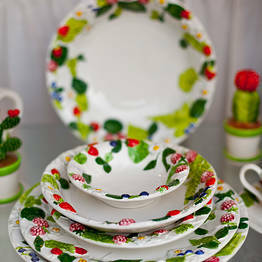 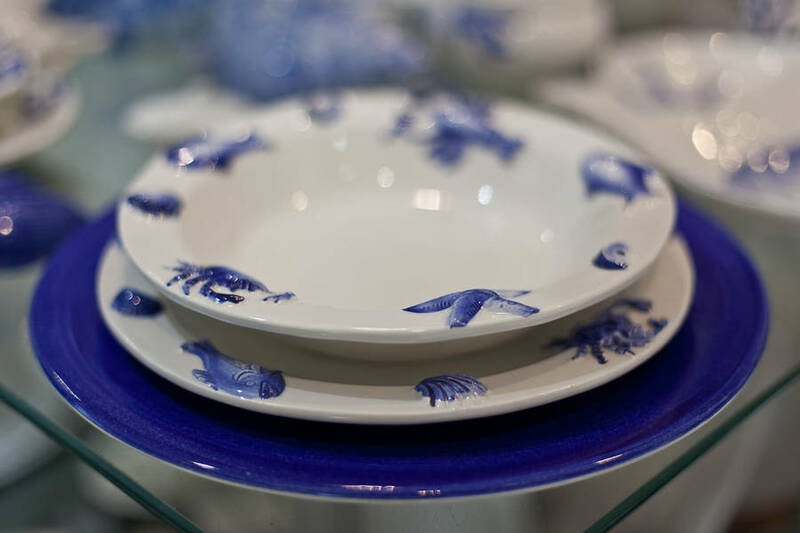 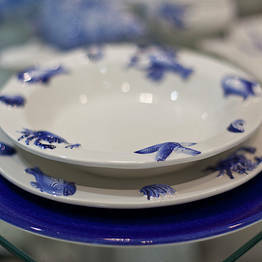 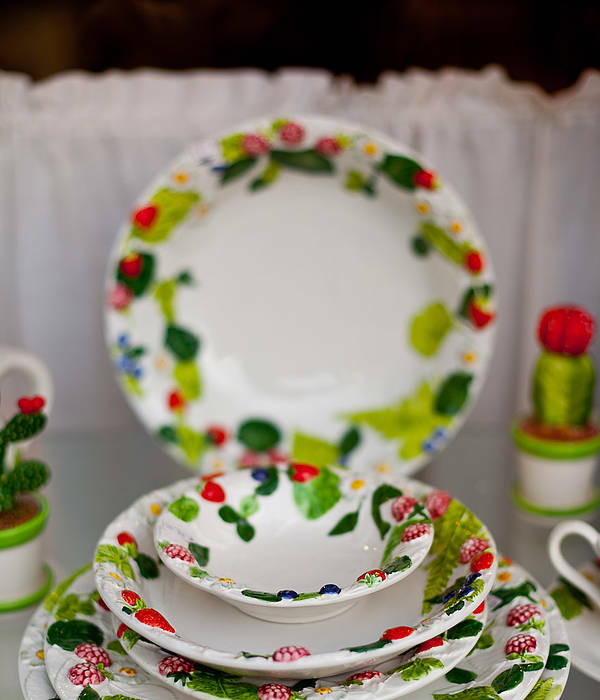 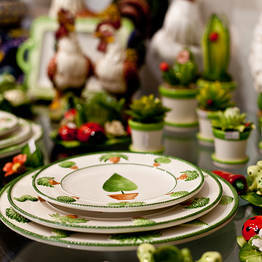 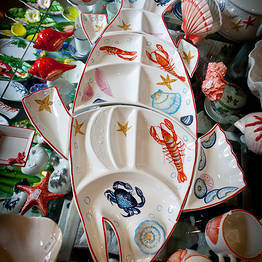 Produced by artisans renowned for their skill and creativity, The Sea Gull's ceramics are 100% Made in Italy. 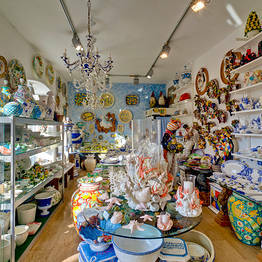 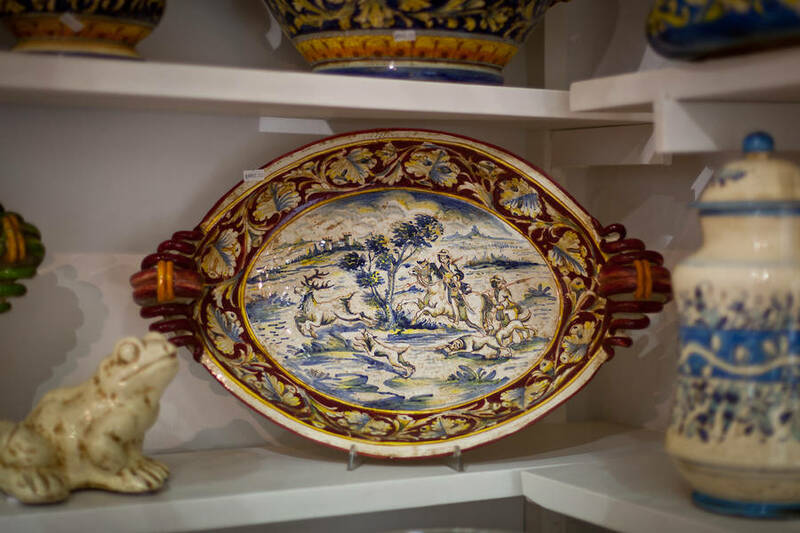 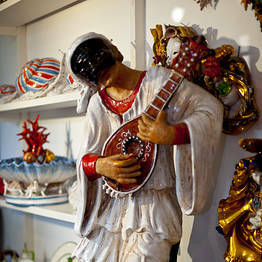 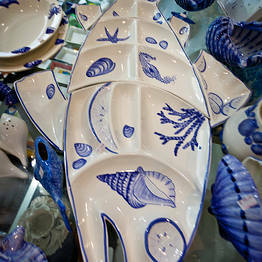 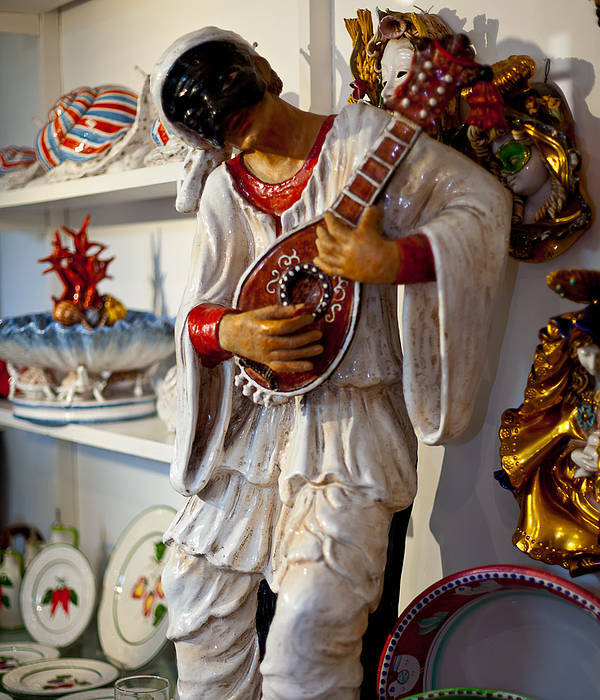 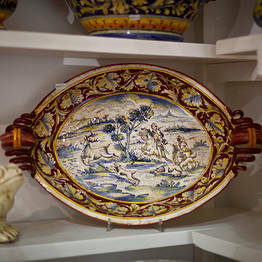 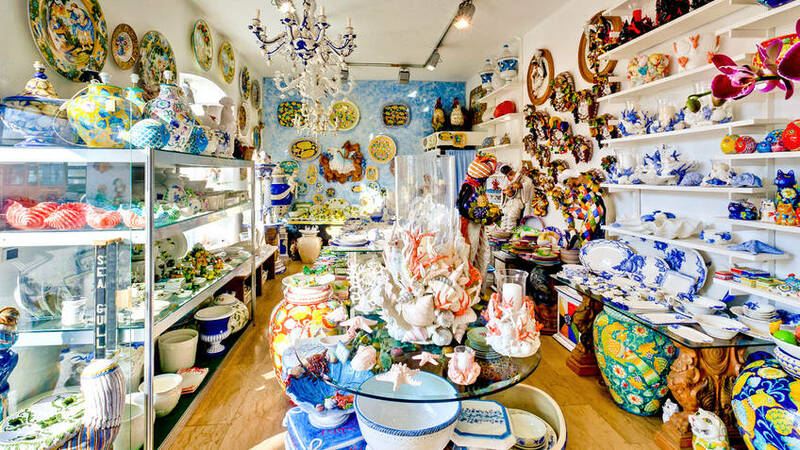 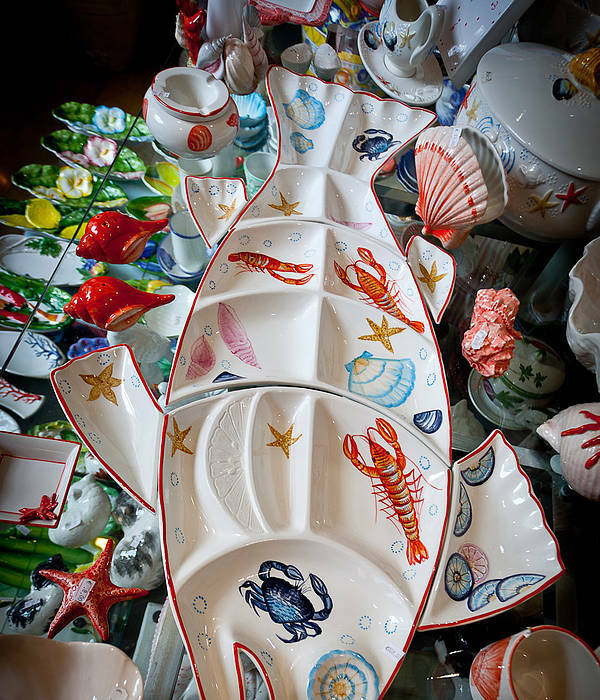 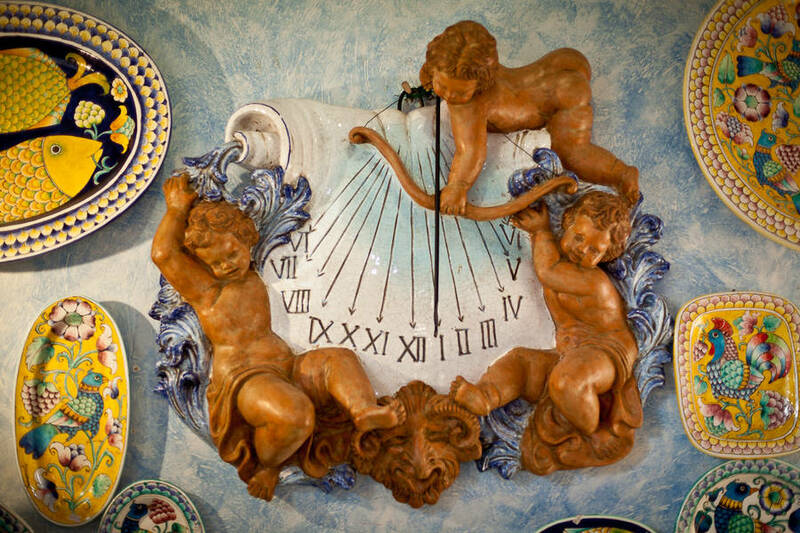 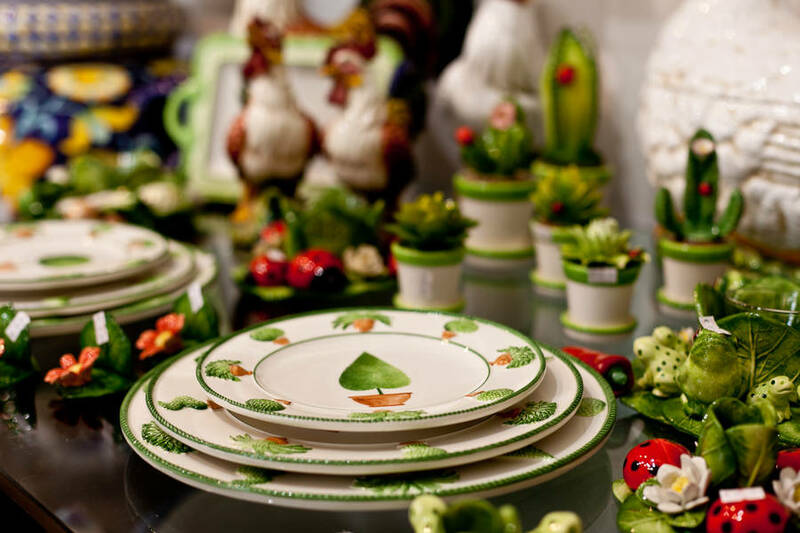 Plates, vases, clocks, ornaments, figurines: if you're looking for a unique souvenir of Capri, or a special gift for those back home, you'll find it at The Sea Gull! 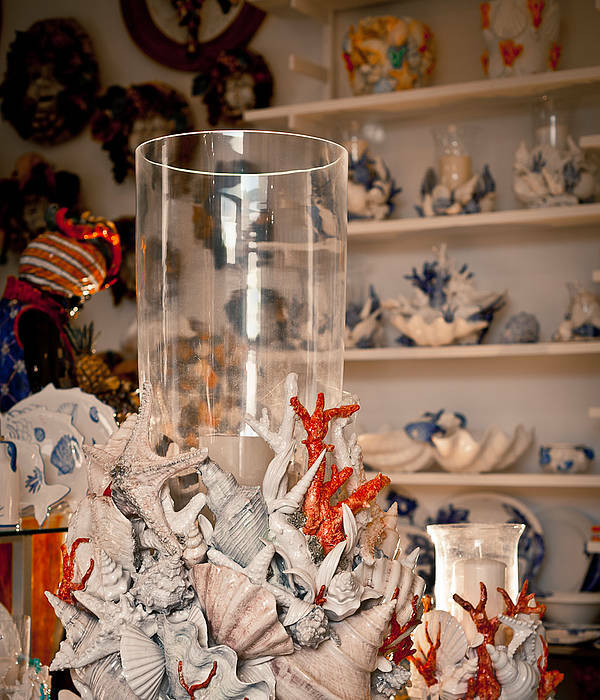 Worried your precious ceramics may not survive the airport luggage handlers? 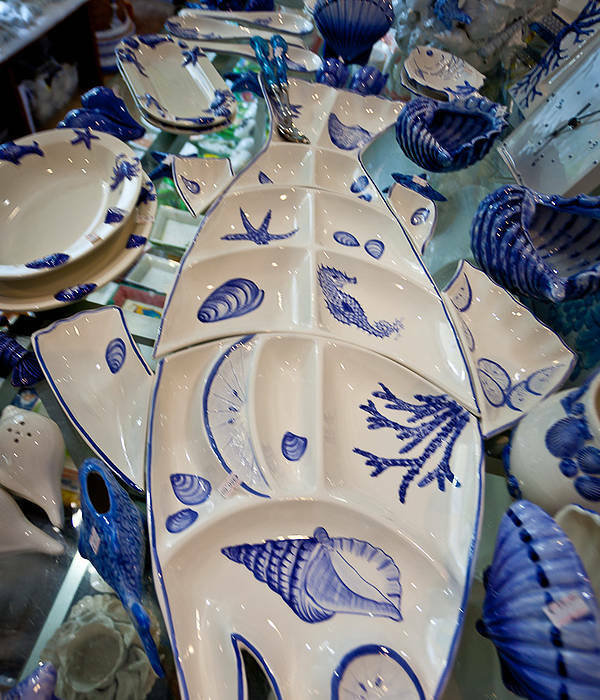 No problem - The Sea Gull ships all over the world! 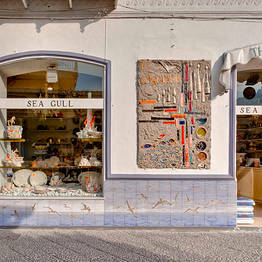 It's easy to find The Sea Gull. 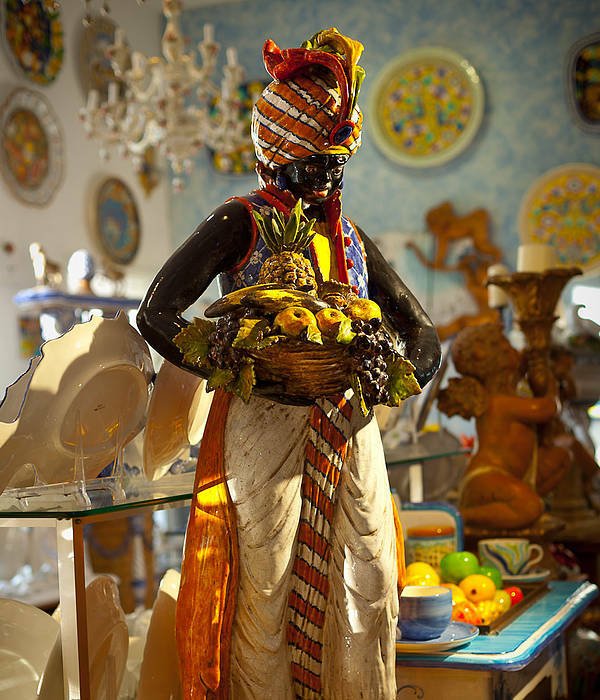 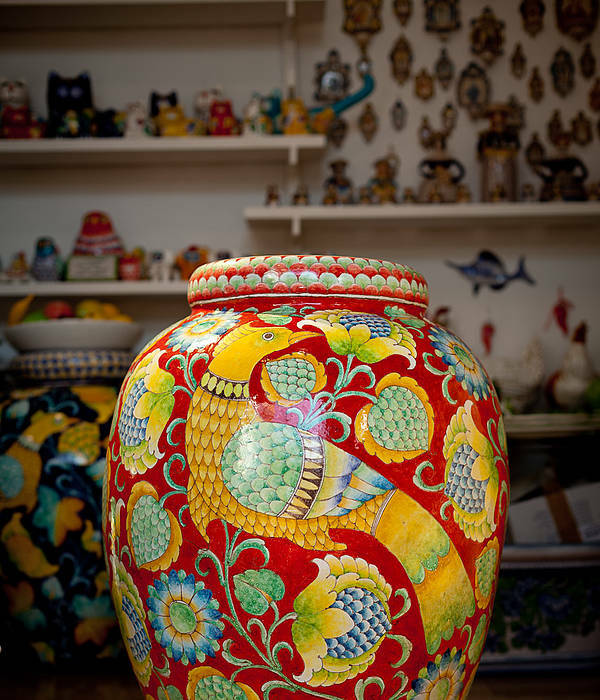 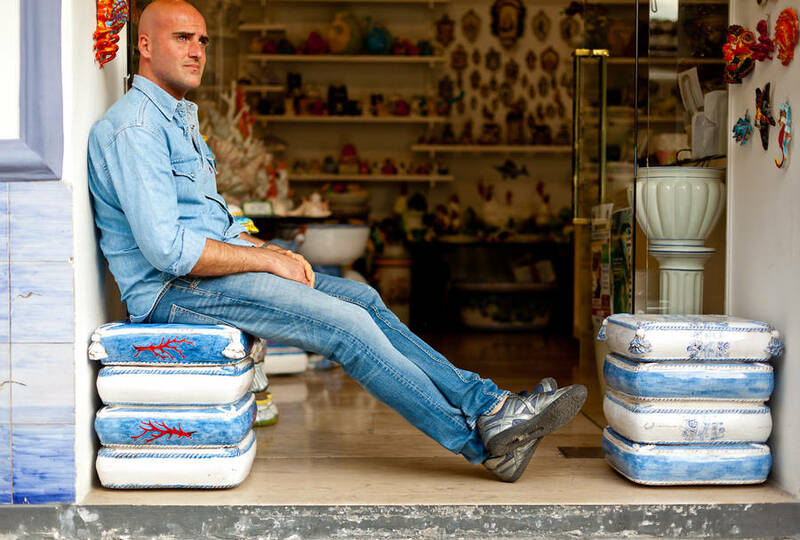 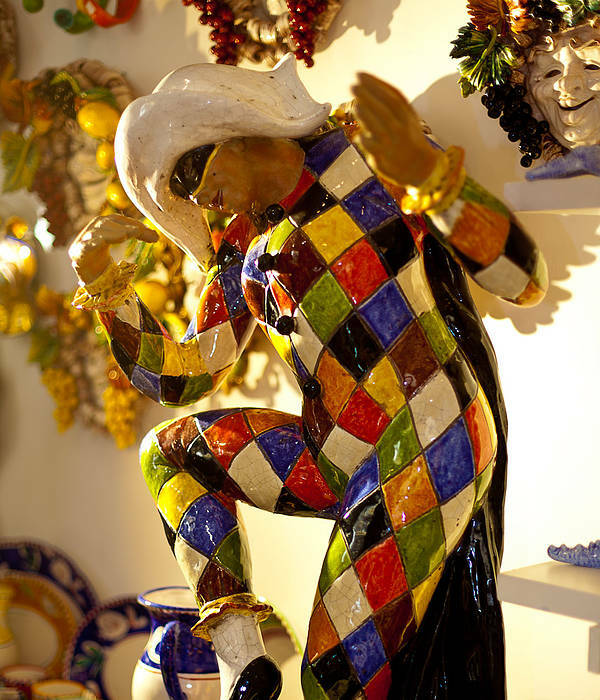 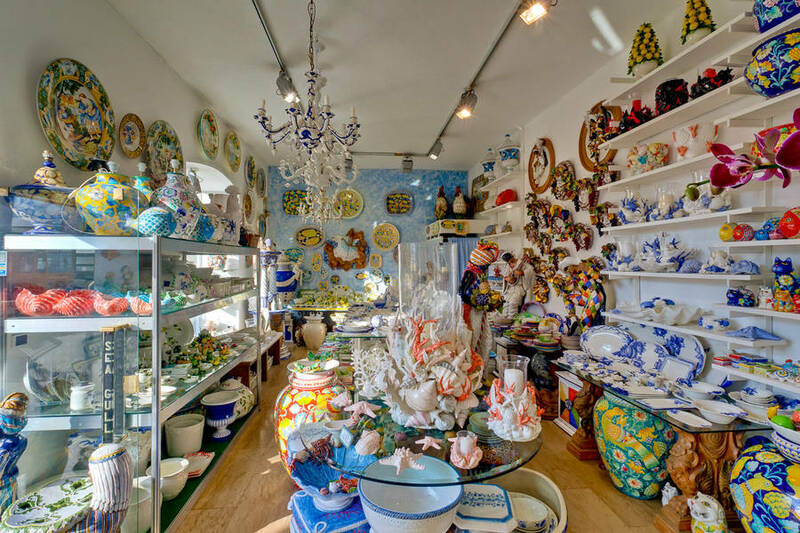 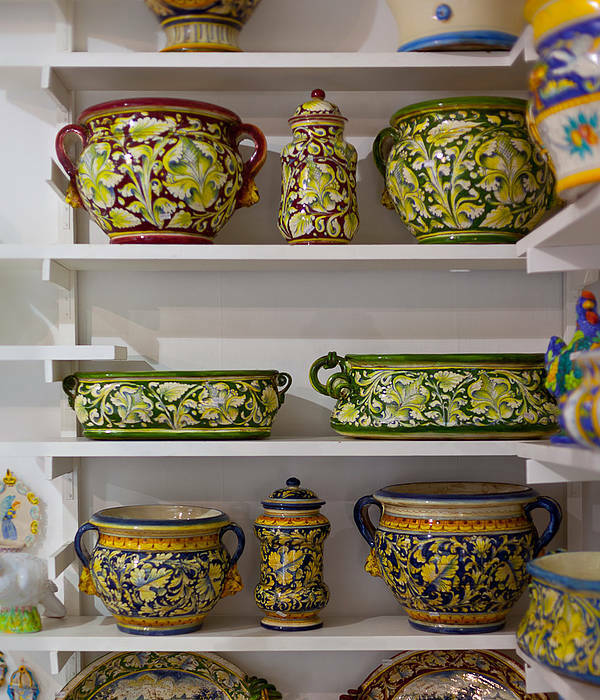 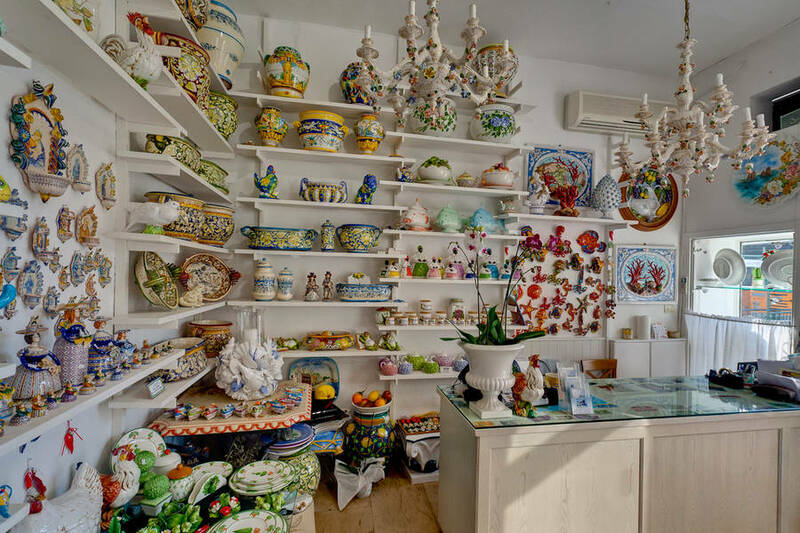 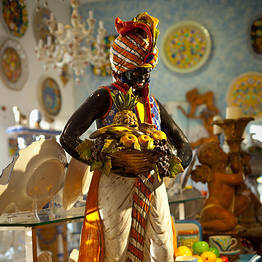 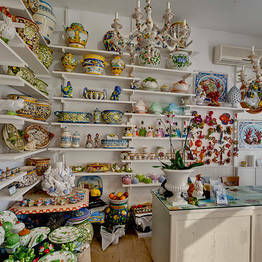 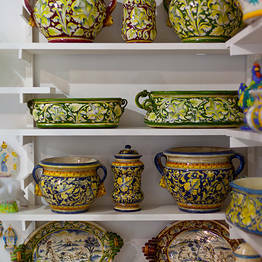 This fascinating little shop, filled with exquisite, hand-painted ceramics, is located within meters of Capri's famous Piazzetta. 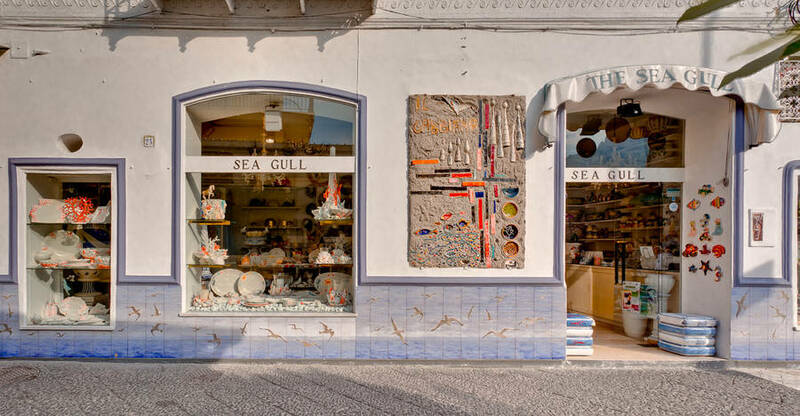 The beautiful shop sign is amongst the most photographed on the island!